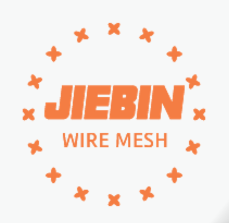 Product categories of Hexagonal Wire Netting, we are specialized manufacturers from China, Hexagonal Wire Netting, Wire Netting suppliers/factory, wholesale high-quality products of Hexagonal Wire Mesh R & D and manufacturing, we have the perfect after-sales service and technical support. Look forward to your cooperation! Packaging: Waterproof paper the blister film, pallet or according to your requirements. Packaging: waterproof paper plus plastic shrinked packing. 2. Surface treatment of High Quality Hexagonal Wire Netting: Hot-dipped galvanized, electro galvanized, PVC-coated. 3. Weaving patterns of Hexagonal Wire Mesh: straight twisted, reverse twisted and straight reverse twisted together. 4. Application of Hexagonal Wire Netting (Chicken Coop Wire Netting): It is widely used in building, oil, chemical industry, breed, plant protection, food processing line; Reinforce guard and heat preservation, for example: make net cast ,stone cage, insulated net wall, boiler cover, poultry fence etc .